Immanuel continues to share the love of Jesus with our community. On February 6th, a group of students from second and third grade at Immanuel Lutheran School read a variety of books on different topics of interest to the residents of Quail Ridge Alzheimer’s Special Care Center in Bartlett. The students introduced themselves and then proceeded to read a short book each of them had chosen, making sure to also show the residents all the pictures. 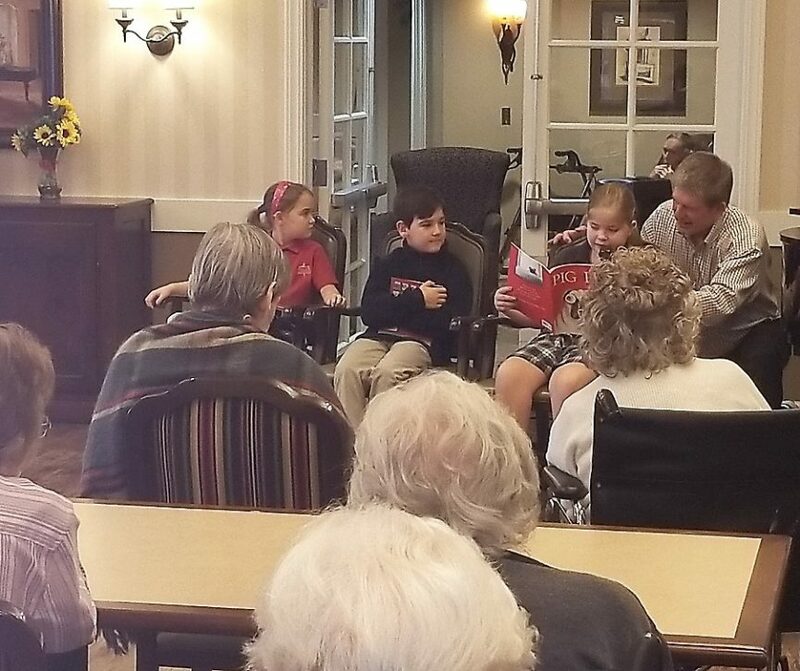 The students did an outstanding job and the residents were thrilled to listen to the children read. Afterwards, the students also spent time greeting and visiting with the residents. It was truly a heart-warming experience!